The new mobile game Pokémon Go has won the hearts and minds of millions with over 7 million downloads in its first week of release. This has happened so quickly that many parents are just catching up with this new craze. 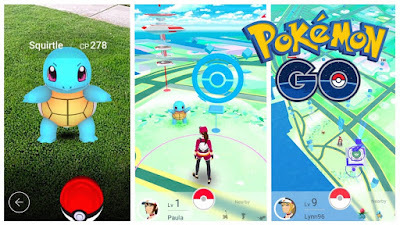 What makes this game different is it features “augmented reality” technology, which means players look at their mobile phone screens and see animated Pokémon creatures superimposed on the “real-life” background generated by their phone’s camera. To the player, it appears that they are throwing balls at a Pokémon monster right in front of them. The game also calls for a lot of walking to reach virtual map targets like a PokéStop supply station or a Pokémon Gym where players can battle to capture that location, or to incubate and hatch Pokémon eggs. 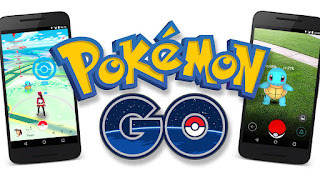 The game has several advantages to consider, but parents should be aware of real-world safety concerns before deciding whether their family will embark on a Pokémon Go adventure. First, the Pokémon Go advantages: Fitness, Friends, and Discovering your own neighborhood in a newway. Parents have urged their kids to “go outside and get some fresh air and exercise” for years. Now sleepy teenagers are suddenly waking up early and walking many miles a day to play the game. My daughter was happily exhausted by the end of her first day of playing – surprised to see that she had walked nearly 11km that day. Not bad exercise for a lazy summer Saturday! She is also making plans to get together with friends to go hunting each day and having a lot of fun socializing. Since the virtual PokéStops and Pokémon Gyms are located on a variety of public landmarks, she has explored our neighborhood in a new way. She’s learned about new hiking trails and historic locations, and is visiting parks such as the botanical garden with her friends. Pokémon Go safety concerns and real-life Kidpower safety skills: I have taught Kidpower personal safety skills to thousands of people and the skills can be applied to everyday life — including new situations that pop up like the sudden appearance of Pokémon Go. Since this is a totally new activity, if you are going to let your kids play Pokémon Go, it is important to co-pilot with them. Let them show you how it all works, and at the same time observe them, look at the potential safety hazards, and address the concerns by practicing skills as needed. The game may expand kids’ neighborhood horizons in a good way, but you don’t want them wandering off without thinking about where they are going and what they are doing. Kidpower has an excellent detailed article, “Preparing Children for More Independence” that I highly recommend to help parents co-pilot the neighborhood exploration aspect of Pokémon Go. The safety conflict inherently built into Pokémon Go is that players are walking in the real world – but looking at their phone screens. This can be somewhat mitigated by focusing on the skill “Use your Awareness” – looking up frequently to see everything around you. We definitely don’t want kids to trip and fall, cross the street without awareness, or walk into traffic by accident. This particular Pokémon Go safety conflict will remain a significant hazard and will have to be continually evaluated and managed. Part of safety awareness is keeping in mind what the larger surroundings and situation look like. A historic graveyard might be fine to explore in the afternoon with friends but would be unwise to explore at night, or alone. Since PokéStops and Pokémon Gyms are fixed locations, it is likely that players will encounter other people they don’t know. Teach, remind and reinforce stranger safety rules. At Kidpower we say that “most strangers are good,” but there are rules for how to interact with them when kids are on their own. The core Kidpower Stranger Safety Rule for younger kids is to “move away and check first” before you talk to a stranger, take anything from a stranger, or get close to a stranger. Make sure kids know that just because you and a new person are both playing Pokémon Go, it doesn’t mean that you are friends; you are still strangers to each other. Unfortunately, there have already been real-world examples of robberies committed using Pokémon Go as a tool or lure. There are actually “lures” engineered into the game to bring more Pokémon characters to a location, but also to bring more people. Always be aware of the context and situation that you are really in. Safety is generally found in well-lighted, well-traveled locations where there are a lot of people around that you could get help from. Parents have to help monitor those situations for their kids, and set rules and guidelines. Pokémon Go is a brand-new release that poses some obvious digital security concerns and potentially less obvious ones that might be discovered later. It was almost immediately discovered that the game app requested full access to a user’s Google accounts if they signed in with their Google IDs. This was a huge security hole that may have been unintentional, and may not have been exploited, but it allowed access to players’ Gmail and Google Drive contents. Definitely not cool, to say the least. The app’s first update has already been released to fix this problem. Players may want to consider creating a new “junky” Gmail account only used for login purposes. The second digital security concern – yet unanswered – is how user data will be collected and used. This could be a Big Data privacy nightmare. The application has access to a player’s camera, GPS locations and more. This data could feed into paid advertising, law enforcement, even national intelligence gathering. It is beyond the scope of this post to address all these concerns, but it is definitely worth researching and taking your family’s privacy seriously. If you feel like this is a lot to consider when your kids just want to play the popular new game during summer break, I feel your pain! Being a parent in the 21st century sure throws a lot of new curveballs at us, virtual or otherwise. But I am thankful that our basic Kidpower skills can help us navigate these new challenges.